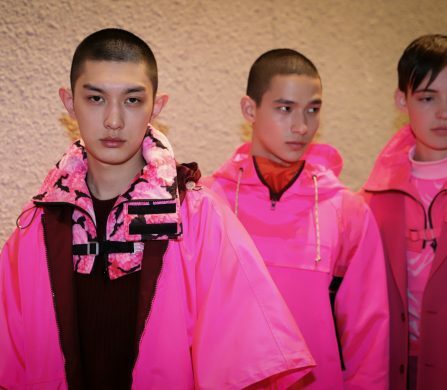 Through his artful and modern creations, Korean designer SONGZIO’s A/W London Fashion Week Men presentation Misanthrope propels his garments to the mainstream. South Korean brand Songzio is redefining masculinity for the modern man by balancing traditional silhouettes with contemporary design. Zio Song views fashion as the synthesis of art and engineering, so under his hands clothes become functional works of art. Featuring innovative prints and narratives his garments are a testament to the symbiosis of art and design. Song’s artistic pieces also act as a vehicle for theoretical meaning. Vertical strokes represent the subject and horizontal strokes represent emotion. His designs are teeming with movement and expression, and often play with proportion, pairing the form fitting with the oversized. Song’s openness to experimental silhouettes and understated masculinity, create designs that are purpose-built for the modern metropolitan man. In previous collections Song found inspiration from nature: “I get inspired for painting from nature, books, poems and the media” he says. “I am always looking at season trends to get inspired.” Each Songzio catwalk show acts as a lens to a different world and follows a narrative which extends beyond the physical and into the abstract. “We always make a story for each collection” Song tells Schön! “A fashion show is like a short film,” a sustained visual moment the audience follows collectively. For their 2017 A/W collection Songzio diverges from nature to centre on an introverted anonymous figure named ‘M’. The collection follows this fantastical figure as he détournes across an unknown urban sprawl on an overcast, chilly morning. 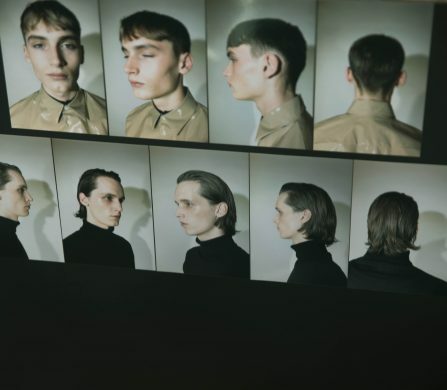 Described as “a person who has his own individual personality that he doesn’t want to share,” the collection acts as a lens into M’s moody psyche. “Our designs are really dark in order to express M’s personality characteristics and what he thinks” explains Song. The resulting collection juxtaposes delicate art prints with dark all-consuming armour. Wafting shirts and loosely structured suit trousers are countered by formal tailored black coats, and dense knitwear falls from the shoulders and encases the body. Song presents the nature of M’s impulses and emotions by pairing earth toned bomber jackets with mustang patchwork, and camel jackets with metallic orange sweatshirts. 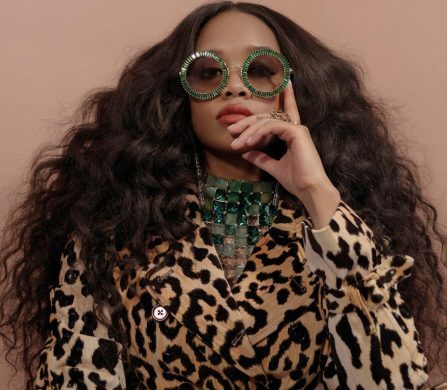 Despite its fringe status in the international fashion community, young people in Korea are relentlessly contemporary, clenching onto the latest trends with ferocious passion. Song claims the strength of the new generation of Koreans is their obsession with innovation: “they are really passionate about trends and fashion in Korea.” Thanks to the popularity of fashion courses in Korean universities, “there are lots of clever and ingenious students studying fashion which is proving to be outstanding for K fashion” Song reveals. After choosing London for the exhibition of his S/S 17 presentation, Song identifies it as a perfect environment for his art. “London is very contemporary which makes it more inspiring” he says. With its geographical makeup and rich historical legacy, London is more than well suited to SONGZIO’s destabilised classicism. Discover the Songzio collections here.